Edwin Abelardo Matozo-Arriaza, 19, 59 Rowe Ave., Hartford, was charged on April 6 with failure to display lights, DUI-.02 BAC less than 21 years old and failure to drive upon right. Keyan Maurice Yopp, 23, 8 Wainwright Drive, New Britain, was charged on April 6 with inciting a riot, interfere with officer/resisting, assault on public safety officer and failure to comply with fingerprint request. Javier Arroyo, 49, 111 Franklin Square, Apt. 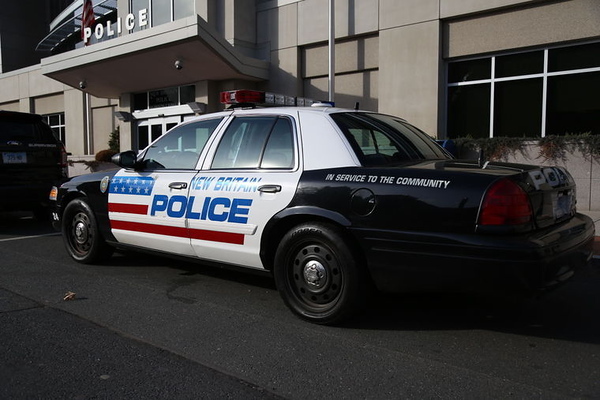 104, New Britain, was charged on April 7 with violation of protective order. Edin Hodzic, 39, 95 Crystal St., Wethersfield, was charged on April 7 with possession of less than ½ ounce cannabis and drugs near school/daycare. Angela Catanzaro, 35, 250 Hillhurst Ave., New Britain, was charged on April 7 with sixth-degree larceny. Jason Michael Bishop, 41, 68 Derby St., third floor, New Britain, was charged on April 7 with criminal impersonation and interfere with officer/resisting. Jillian Rae Spitsberen, 34, 17 Chapman, first floor, New Britain, was charged on April 8 with possession of controlled substance, possession with intent to sell narcotic substance, controlled substance within 1500 feet of school/daycare, operation of drug factory and use of drug paraphernalia. Tykeera A. Joseph, 29, 51 Caeser Drive, Bristol, was charged on April 8 with second-degree breach of peace and third-degree assault. Louis P. Royce, 40, 59 Swight St., first floor, New Britain, was charged on April 8 with second-degree threatening, second-degree breach of peace and second-degree harassment. Posted in New Britain Herald, New Britain on Wednesday, 10 April 2019 21:04. Updated: Wednesday, 10 April 2019 21:06.